Kawhi Leonard might be the first domino to fall. If it is, LeBron James’ decision will most likely follow and could lead to him joining Leonard wherever he goes. The Los Angeles Lakers seem to be the most popular destination for both players but does Magic Johnson have enough magic up his sleeve to bring them both to the City of Angels? ESPN’s Adrian Wojnarowski reported on June 15 that the Lakers were on the top of Leonard’s potential trade destinations. San Antonio’s Kawhi Leonard has Los Angeles — preferably the Lakers — at the center of his preferences for a trade destination, league sources tell ESPN. Chris Paul reportedly told ESPN’s Stephen A Smith earlier this month that James won’t join him in Houston because he “wants to be in Los Angeles.” Here’s part of what he said during his podcast. Chris Paul is telling folks LeBron ain’t trying to come to Houston, he wants to be in L.A. These are things I am getting through the grapevine. Chris Paul is saying LeBron wants to be in L.A. It was reported by ESPN Wednesday, however, that James “remains hesitant” to be the first superstar to land with the Lakers. 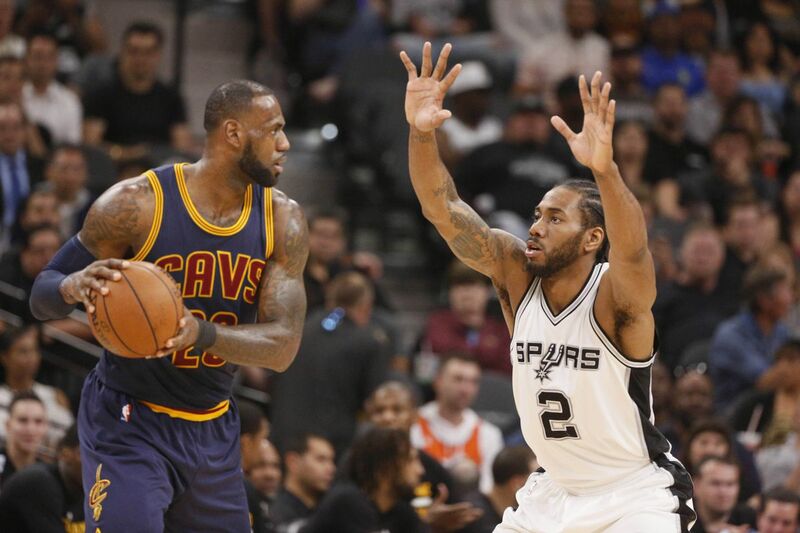 As LeBron James remains hesitant to be the first superstar to decide on the Los Angeles Lakers in free agency, pressure is mounting for the Lakers front office to execute a trade with the San Antonio Spurs to acquire disgruntled All-NBA forward Kawhi Leonard, league sources told ESPN. There’s a race to secure Leonard before James is faced with deciding whether to become a free agent on Friday, especially with concern that Oklahoma City’s Paul George is no longer assured of signing with the Lakers, league sources said. Another preference by James that could impact free agency, league sources said, is that he wants to make a decision quickly in July free agency. The Boston Celtics, Cleveland Cavaliers, Philadelphia 76ers and LA Clippers are among teams who have made offers to the Spurs for Leonard, league sources said. The Lakers, the franchise Leonard wants to be traded to, did not have an encouraging initial conversation with the Spurs, ESPN reported recently. If I know LeBron the way I think I know LeBron, he’s obsessed with Michael Jordan and surpassing his greatness. Winning championships is the main criteria when judging the two legends and James won’t want to be in LA if Leonard or Paul George aren’t there. The trio of James, Lonzo Ball and Brandon Ingram aren’t bringing titles to LA. Let’s say Philly finds a way to land Leonard, it’d be extremely tough for James to turn down that potential super team. A quartet of James, Leonard, Ben Simmons and Joel Embiid might net the King a couple rings. Not only is it a dangerous core, it’s a young one. So what would it take to land Leonard? Sports Illustrated reported Thursday the Spurs are interested in a package centering around Dario Saric, Robert Covington and a future first-round pick. According to that SI report, San Antonio’s preferred target in an offer is the Boston Celtics’ Jayson Tatum. San Antonio has informed teams its preferred target in any Leonard trade is the Celtics’ Jayson Tatum, sources say. Teams have noted this is likely a negotiating tactic, and it’s widely believed in league circles Boston is more likely to propose a deal centered around Kyrie Irving and future picks. But based on previous behavior, the Celtics are unlikely to overpay for Leonard. While Boston is one of the listed teams interested in acquiring Leonard, I believe the Celtics are testing the waters more so than actually wanting to bring him to Beantown. The Celtics have more assets to offer the Spurs, but with their hesitation in Leonard’s injury history and uncertain future, Boston appears like it will be playing it safe. The Clippers and Cavaliers are also rumored to be in the mix for Leonard, but I don’t see how these teams have enough to offer for Leonard. The leverage the Lakers have is Leonard’s desire to play in his home state. A lack of commitment from Leonard for any other team but the Lakers — and potentially Clippers — allows them to take more of a chance in a package. They have apparently offered a “godfather” deal to the Spurs, according to Sam Amick of USA TODAY. Here’s the thing, though, can the Lakers actually offer something “godfather” worthy. Brandon Ingram, Lonzo Ball and Kyle Kuzma aren’t superstars and if landing Leonard means also obtaining James, those Lakers draft picks won’t be very enticing in the very near future. That 2021 unprotected Miami Heat selection is more appeasing than anything Magic can offer draft pick wise. If Philadelphia was able to work out a pact for Leonard, don’t rule out a potential extension either. Leonard may say he wants to go to the Lakers next summer, but he’s also said in the past that he wanted to be a Spur for life. Kawhi just spoke and said he wants to finish his career as a Spur. Things change and if the Sixers are challenging the mighty Golden State Warriors in the NBA Finals next summer with Leonard and James in tow, why wouldn’t Leonard sign an extension? It’s time to complete the process!